The private funicular edicule, built in the expansion of the monumental cemetery of Padova di Jappelli, has a base of 3.60 m in height 5 m has a surface of 13 sqm. Its dimensions are imposed by cemetery regulations. It appears as a prism of white Roman travertine. In plan it is divided into two overlapping parts, which determine the supporting structure. The two sides are covered with 5 blocks of stone each, 15 cm thick overlapping. 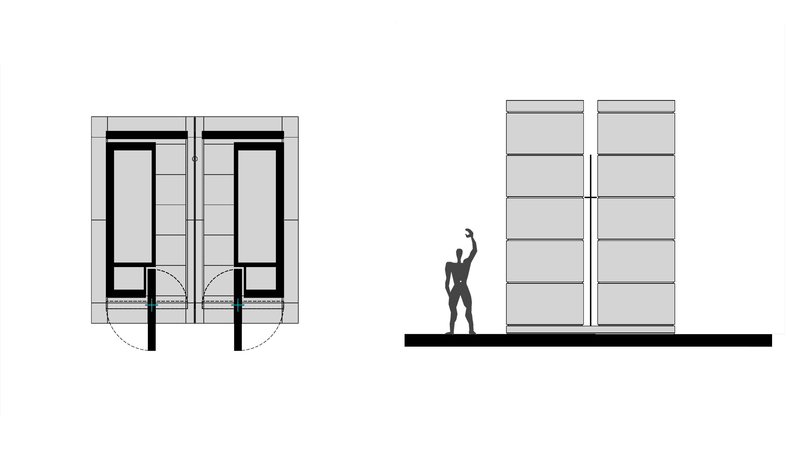 The two doors, 4.58 m high and 15 cm thick each in monolithic Travertine blocks, open, turning on two eccentric pins, come two arms, determining a relationship with the outside. 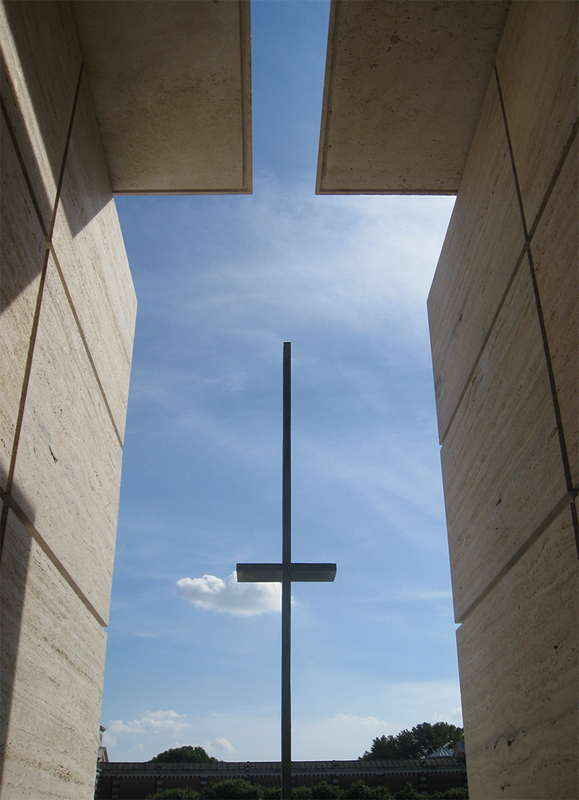 In the middle, between the two doors and the fixed bottom there are two crosses in raw bronze, cast in lost wax, 3.67 m high and 3 cm thick. 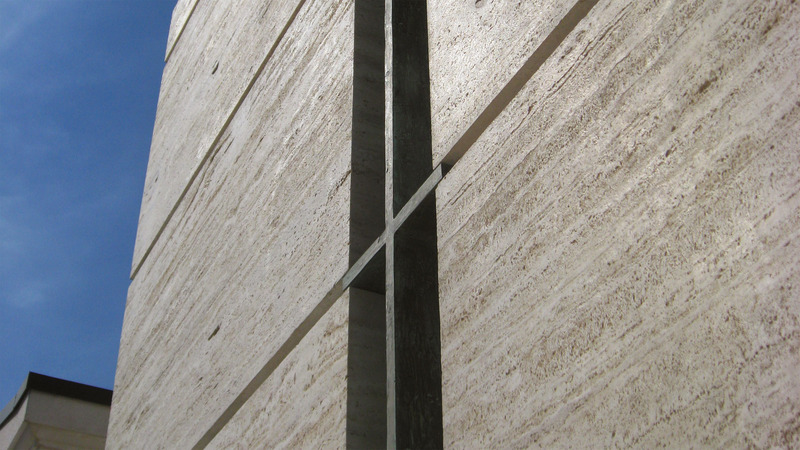 The roof is composed of two monolithic slabs of 20 cm thick travertine resting on the supporting structure of the niches. 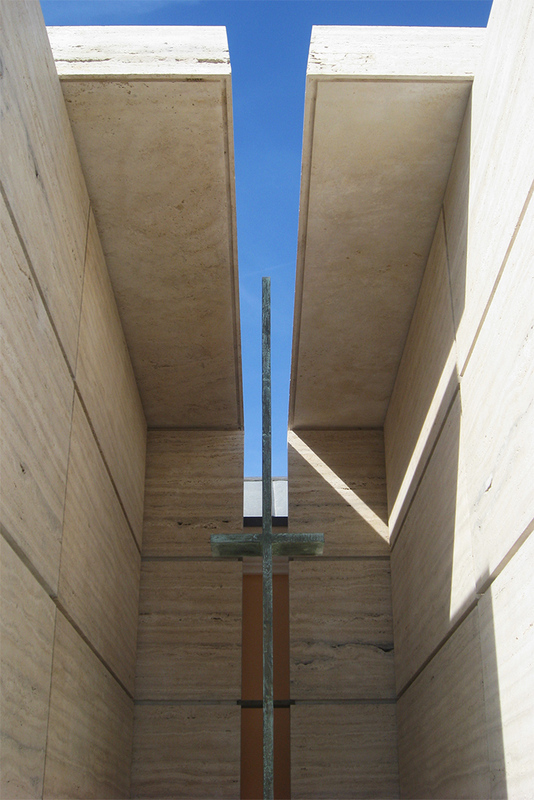 The private funicular edicule, built in the expansion of the monumental cemetery of Padova di Jappelli, has a base of 3.60 m in height 5 m has a surface of 13 sqm. Its dimensions are imposed by cemetery regulations. 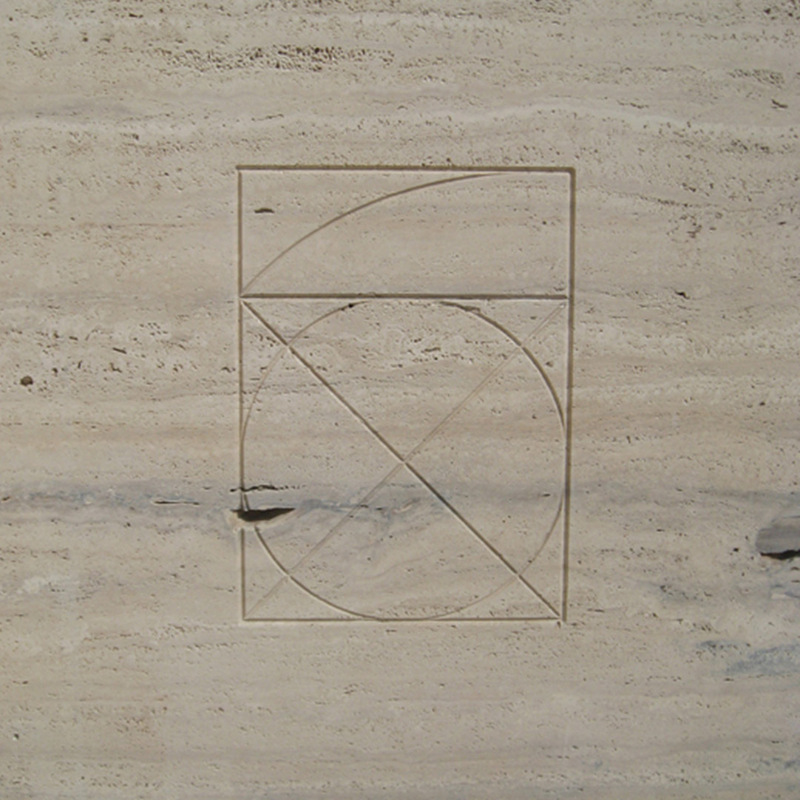 It appears as a prism of white Roman travertine. In plan it is divided into two overlapping parts, which determine the supporting structure. The two sides are covered with 5 blocks of stone each, 15 cm thick overlapping. 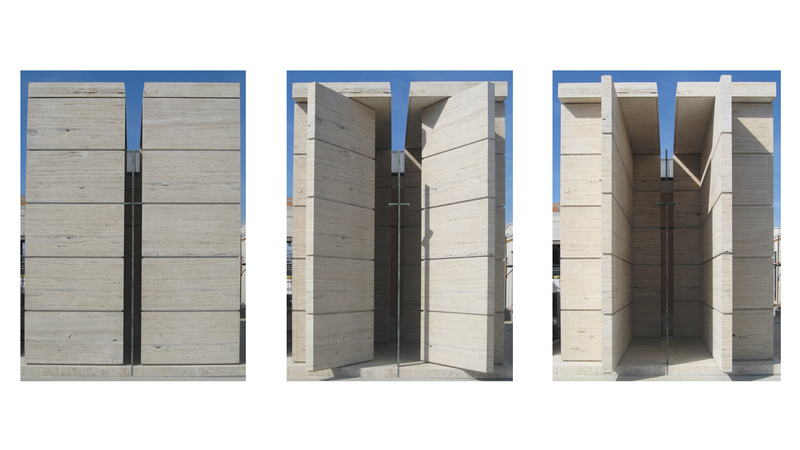 The two doors, 4.58 m high and 15 cm thick each in monolithic Travertine blocks, open, turning on two eccentric pins, come two arms, determining a relationship with the outside. 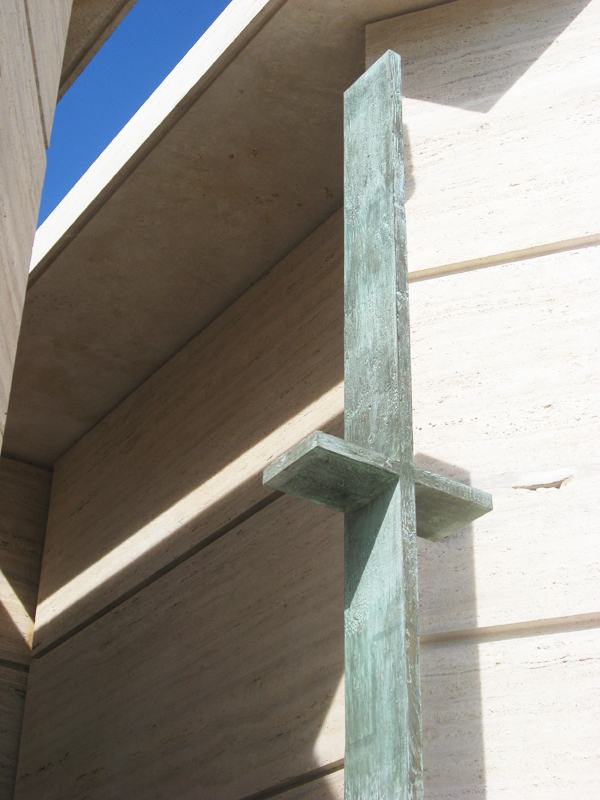 In the middle, between the two doors and the fixed bottom there are two crosses in raw bronze, cast in lost wax, 3.67 m high and 3 cm thick. 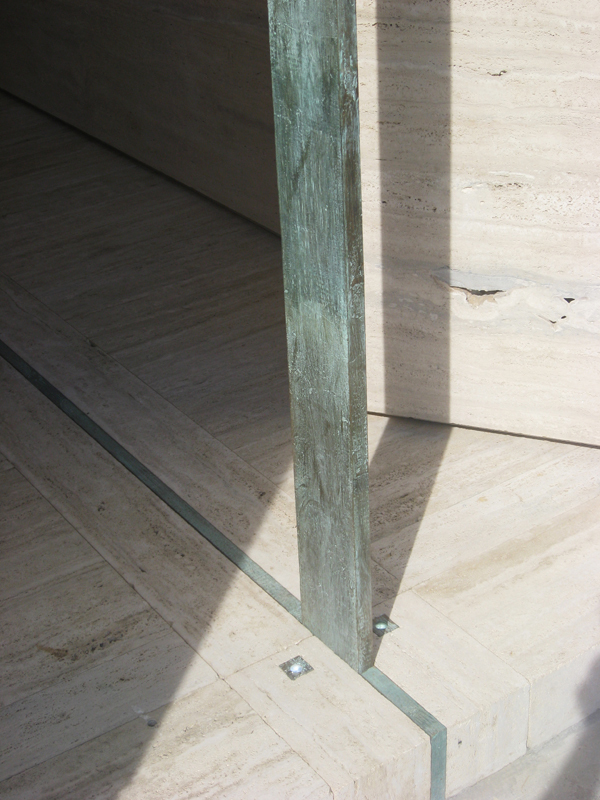 The roof is composed of two monolithic slabs of 20 cm thick travertine resting on the supporting structure of the niches.